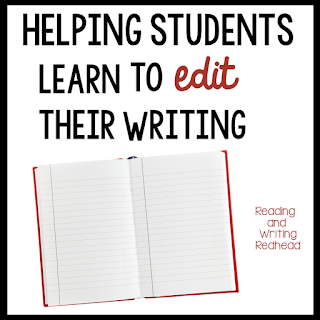 So, you want your students to be able to edit their own work? Find capitalization and punctuation errors and fix them before they turn in their assignments? I have taught second grade for 21 years and every fall, when I get my new students, they still need to learn this important skill. First of all, teachers finding the errors and pointing them out is fine. Peer editing is okay, in my opinion, but don't we want to students to end up finding and editing their own errors? Here are some things that have worked for me. I like to use the gradual release model for students; however, some students become independent much more quickly than others. 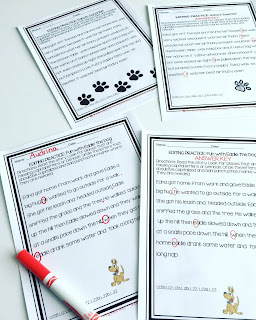 At the beginning of the year, I start the new second graders out by looking over their work with them and directing students with comments like, "Before I take this, you need to make sure there is a capital letter at the start of every sentence" or "Is this the end of your writing? What do you need there so we know it is the end?" Then, a few weeks later, or depending on the students I have, maybe a month later, I start introducing the traditional editing marks. A circle where punctuation is missing is one of them, and I use two underlines for capital letter errors (I think the tradition mark is three underlines, but honestly, second graders only need two). Students get the papers back in a "work that needs to be fixed bin" and are expected to take care of editing the errors and returning the assignments. Here are two examples from my students where you can see editing marks in use. 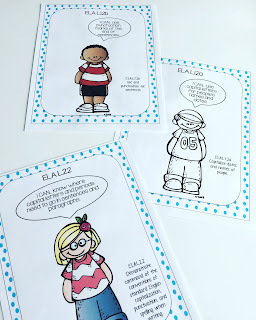 (The activity is the Reader Response from my How Chipmunk Got his Stripes resource). Then, I start to integrate checklists ( I also still use editing marks after work has been turned in) that students use while they are writing. Sometimes checklists are integrated into the assignment, or students might get a separate checklist. Below is an example of the checklist that I use in my writing prompts. This one is from the Holiday Writing Prompt collection. 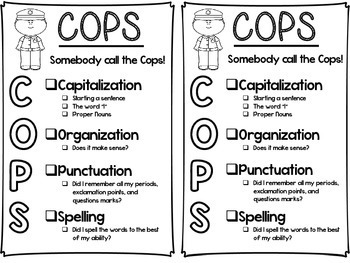 COPS is a very popular checklist. Here is a great example, from Second Grade Wonder on Teachers Pay Teacher. Click here or on the image to grab it from her. Just Google editing checklists and see what there is to choose from and find one that is appropriate for your needs. But maybe.... your kiddos need something else. 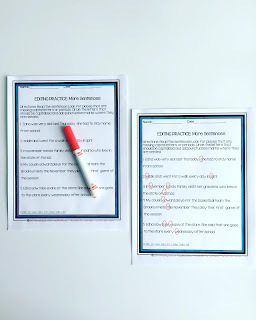 Peer editing is very popular and sometimes students pay more attention to tips from peers than teachers after a while. My grade uses Keys to Writing from Keys to Literacy and they have peer editing checklists here. 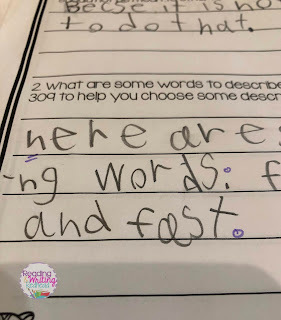 I really found the blog post from Teaching from the Fast Lane to be very helpful! 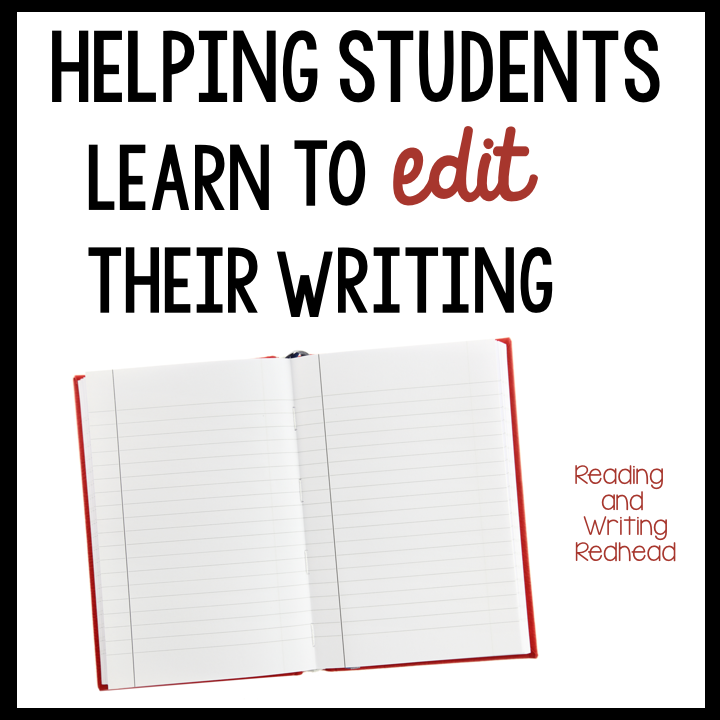 She has practical tips and examples of peer editing strategies and checklists that you can use! 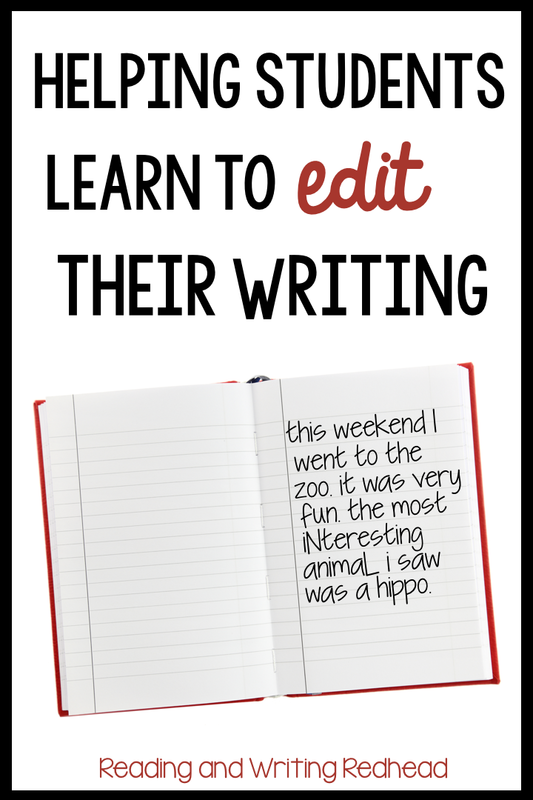 I also use whole class sentence editing as a quick lesson some days. Some teachers use this every day as a morning work, or as part of morning meeting. I also have picked up a few editing task cards materials for reading centers from Teachers Pay Teachers. Have you tried all of these but looking to add more practice for your students, or a small group? This final resource may help you! 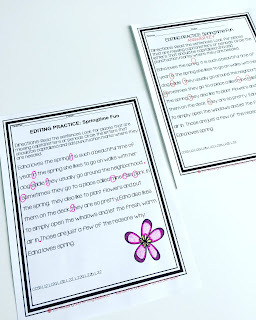 It is Editing Practice and it has a bunch of activities that will get students practicing looking for capitals and punctation. Once they get great at finding errors in others' work, you can expect them to be able to find them in their own work. Here is an example of one of the activities in this resource, and it has an answer key. If you have to display the I can statements that are relevant, they are available in color and black and white so you can print them out and go. Here's a few more examples of the practice that is included! 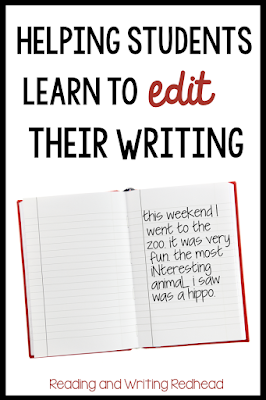 What works for you as far as strategies for helping kids to help them get good at editing their own work? Let us know in the comments below!